Sukanya Samriddhi Scheme was officially launched on 22nd January, 2015. This scheme was introduced by our honorable Prime Minister Narendra Modi. Last week, I had published an article about Sukanya Samriddhi Account Scheme. In that article I had provided information on the features, scheme review, Frequently Asked Questions (FAQs) on Sukanya Samriddhi Deposit Scheme. So, let us understand and compare SSA with PPF based on their features and terms/conditions. Public Provident Fund (PPF) – Any Indian Citizen can open Provident Fund account. Sukanya Samriddhi Account (SSA) – Sukanya Samriddhi a/c can be opened on a girl child’s name by her natural (biological) parents or legal guardian. Is there any Age limit to open PPF / SSA? PPF – There is no age limit. SSA – SSA can be opened in the name of a girl child from the birth of the girl child till she attains the age of 10 years. As per the government’s notification, account can be opened on girl child’s name who has already attained 10 years within 1 year from now. PPF – You can open PF account in post offices, nationalized banks (like SBI, PNB etc). You can even open PF account in Private banks like ICICI bank. You can operate the account online. SSA – As of now you can open it in authorized commercial bank branches and Post offices. Online facility is not available. PPF – Account opening form (Form A), Nomination form, Passport size photo, Pan card copy, ID proof & address proof (as per Bank/post office KYC norms). 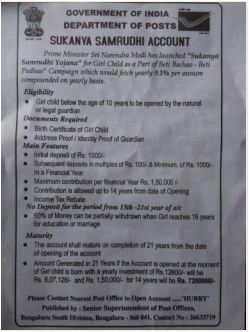 SSA – Account opening application form, girl child’s birth certificate, Depositor’s (Guardian/parent) address & ID proofs. What is the minimum Initial Deposit ? PPF – The minimum deposit is Rs 500. SSA – You need to deposit Rs 1000 as initial account opening deposit. PPF – Only one PPF account is allowed. SSA – A depositor may open and operate only one account in the name of same girl child under this scheme. There is one exception to this rule. The natural or legal guardian can open two or three accounts if twin girls are born as second birth or triplets are born in the first birth itself. How many times can I deposit the monies in a Financial Year? PPF – 12 deposits in one FY. SSA – The minimum initial contribution in any financial year is Rs 1000. Thereafter the contributions can be in multiples of one hundred rupees. You can deposit 1,490 times. What is the maximum total deposit allowed in a Financial Year? PPF – You are not allowed to deposit more than Rs 1.5 Lakh in a FY. SSA – Same as in PPF. What is the applicable current rate of interest? PPF – For the fiscal year 2014-2015, rate of interest is 8.7%. SSA – For the fiscal year 2014-2015, rate of interest is 9.1%. Latest News (18-March-2016): The Govt has cut rate of interest of Sukanya Samriddhi Scheme. The interest rate on Sukanya Samriddhi Account (SSA) for 1st Quarter of Financial Year (FY) 2016-17 would be 8.6%. The revised PPF interest rate is 8.1%. For complete details on revised interest rates, click here..
Is the rate of interest fixed (as in bank fixed deposits)? PPF – Rate of interest will be notified each fiscal year by the Government. SSA – Same as above. So the rate of interest will keep floating every year under both the schemes. For how many years the contributions (deposits/SIPs) are allowed? PPF – The minimum tenure is 15 years. Thereafter you can extend the PPF account tenure in block of 5 years. SSA – You can deposit till 14 years from the date of opening the account. What is the maturity tenure? PPF – after 15 years (provided the account is renewed or extended). SSA – The account will mature after 21 years from the date of account opening (or) on marriage, whichever is earlier. PPF – partial withdrawal is allowed from 6th year onwards. SSA – 50% of the accumulated fund can be withdrawn when girl attains 18 years of age. Can I extend the tenure? PPF – You can extend PPF account tenure in blog of Five years (after initial 15 year lock-in period). SSA – No such option is available. Is there any penalty if no-contributions are made? PPF – Rs 50 is charged as penalty. SSA – If minimum (Rs 1000 pa) amount is not deposited, the account will be treated as an irregular account. This can be regularized on payment of Rs 50 per year as penalty. What is the income tax benefit on contributions? PPF – Yearly contributions of upto Rs 1.5 Lakh can be shown as tax deduction under Section 80c. SSA – Same as above. PPF – Interest amount earned on PPF account is exempted from income tax. SSA – The interest amount is exempted from income tax. PPF – It is treated as tax free money. SSA – The maturity amount will be treated as ‘tax free’ and exempted from income tax. Can NRIs open PPF & Sukanya Scheme accounts? PPF – An NRI (Non Resident Indian) can not open PPF account. However, If you had opened a PPF account when you were a resident of India and subsequently became an NRI, you may continue to deposit the monies in PPF a/c, till it matures (15 years). SSA – Sukanya Samriddhi scheme is also governed by Post Office Savings Account Rules, 1981. As per RBI guidelines, a Non-Resident Indian (NRI) may not be eligible to invest in Small Savings schemes. Department of Posts (Govt of India) Marketing pamphlet (Ad) on Sukanya Samridhi Scheme. Which one is better? Sukanya Samriddhi Scheme or Public Provident Fund? SSA could be a better option based on the current applicable rate of interest. The contributions (deposits) under PPF and Sukanya Scheme can be claimed as income tax deductions under Section 80C. The withdrawals and interest income (under both the schemes) are also exempted from income tax. Another important thing that you need to keep in mind is about ‘When do you want the money?’ & the current age of your girl child. The other tax saving options which have defined rate of interest are – Five year Bank Fixed Deposits and National Savings Certificates (NSC). The rate of interest offered under these options is lower than the interest rate offered for Sukanya Samriddhi deposit scheme. (The rate of interest on NSC Five year deposit is 8.50% and 10 year NSC deposit is 8.8%. The best rates of interest offered on 5 year Tax saving Bank deposits are 9.10% by DCB bank and 9% by banks like Dena, Dhanalakshmi, Indian overseas and Lakshmi Vilas). The interest income earned under these options is taxable. The other fixed income options like Bank Fixed deposits, Bank Recurring Deposits etc., do not have any income tax exemptions or benefits. 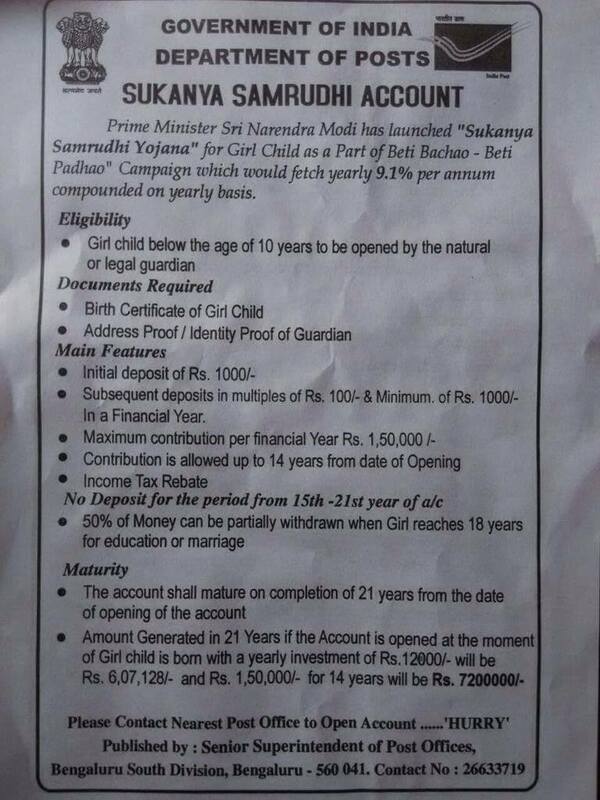 So, there is no point in comparing Sukanya Samriddhi Yojana scheme with these options. What are your views on Sukanya Samriddhi Scheme Vs PPF? Which one do you thinks is a better investment option? Share your comments. Latest News : As per Budget 2015, all the payments under Sukanya Samriddhi Account / Yojana Deposit Scheme are exempted from Income Tax. So, Deposits made under SSA Khata / account are exempted under Section 80C. The interest amount and maturity amount (withdrawals) are also exempted from Income Tax. So, investments in SSA falls under Exempt – Exempt – Exempt (EEE) tax category, on par with PPF. Latest News : Interest Rate on SSA has been increased to 9.2% for Financial Year 2015-2016. This is effective from 1st April 2015. Dear inderjeet ..As your kid is more than 10 years of age, SSA can not be opened. You may consider PPF account. In SSA, If i pay for 14 years, and maturity is by 21 years, will this current compound interest be added yearly till ut is matured? Interest is added every year but kindly note that rate of interest may not remain same every year. Read : Latest interest rates of Small saving schemes. An SSA a/c is opened for my child by her mother in post office i.e. mother is register as a/c handler. But all transaction are going by me.Then…. 1. Can I get tax benifits ? 2. If No, then can a/c handler changing is possible ? Procedure ? Plz suggess me. I have holded the payment due to this. 2 – Kindly contact your banker/Post office branch. 4 – Can invest directly by visiting respective fund house websites. Sir namaste I want to invest in PPF but I have small daubt is there any life risk cover like LIC..
No life cover is provided with PPF. If life is UNPREDICTABLE, insurance can’t be optional. Dear Sir, I have a insurance policy of smart ulip series 2 from sbi. Now 5 years completed. Now i wish to surrender that policy due to some personal issues and there is no progress in market on this policy. Maturity is 2019 only. Kindly suggest me which is correct decision regarding this. Can i surrender it or continue it..
One can except decent returns from ULIPs only if invested for long-term and till maturity. But, Mutual funds can be better than ULIPs. In the first few years, a major portion of your premiums gets allocated to meet expenses and the remaining portion is invested as per your fund selection. In case if you need money now, surrender it and invest (any surplus amount) in mutual funds. 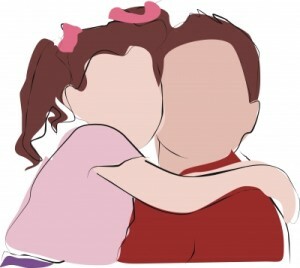 I have 6 years old Daughter and i wish to open SSA and PPF two accounts together. I can invest 10000 per month . Then in what ratio i have to invest in SSA and PPF with more benefits. Please suggest me sir. Thank you. Dear Vijayalakshmi..What exactly do you mean by ‘more benefits’? From taxation point of view, both have similar benefits. SSA’s interest rate is slightly higher than PPF’s. Besides PPF/SSA, you may invest some amount in equity mutual funds also for long-term wealth accumulation. Dear Kumar..Yes the maturity amount is exempted from income taxes. My daughter is have only 1 girlchild IWant to knoe whether she can open both ppf and sukanya acs in her only daughtre name? Dear Ramesh..Yes she can. Kindly note that investments up to Rs 1.5 Lakh only can be claimed as tax deductions u/s 80c. Hi, I have opened my daughter’s SSY account, can both the parents take tax benefit advantage from same account. I know the limit is 1.5 lacs combined for both. so can we both deposit like 75K each of us? Dear Ruchi..Only the depositor can claim the tax benefits of up to Rs 1.5 Lakh u/s 80c. Dear Sarath..I believe that both products are sate to invest. However, we may see different interest rates being offered by PPF & SSA. Hi Shrekant, I have opened SSYA for my daughter on November 2015. If I want to deposit some lump sum amount, should I deposit in November itself or should I wait till April 2016 in order to get maximum return for this year. Please let me know how interest is compounded in SSYA. If you invest now, obviously the invested amount earns some interest till Mar 2016 right. But for next FY, you may invest in the beginning of the year itself. Kindly go through my article – SSA review. Hi Sir, i think ssa scheme benifit or loss.This scheme run 21 years long run.So this scheme is waste my Opinion. What do you say ? Yes, first priority can be to invest a major portion of one’s savings towards long term equity oriented investment avenues. These kind of schemes can not give inflation adjusted positive returns. Can I open two SSA for my two daughters. Can I deposit in both accounts. I want to know whether u can claim tax benefit for both the account deposit. Yes, you can open two SSA accounts on your two kids names. You can claim tax benefits up to Rs 1.5 Lakh pa. I would like to know what is the last date limit of month for deposit the money to get maximum returns & which one is good, monthly deposit or yearly deposit.? Dear Gupta..Yearly deposit will give your slightly higher returns. Kindly go through my other article to understand this..click here..
Iam a great follower of your blogs. By reading your articles i have understood what is investing and financial planning.However i have a query regarding the PPF.Is it the right time to invest in PPF as the repo rate is cut down and there is chance of interests of PPF coming down.Please suggest.If not PPF then where shud i invest ?Iam considering only investment more than 5 or 5+ years. Kindly let me know about your financial goal? Why do you want to invest in PPF? Also, PPF is a 15 investment product, so do not worry too much about rate cuts, it is a cycle. I would like to know what is the best date for next deposit (yearly or monthly basis)to get maximum returns & which one is good, monthly deposit or yearly deposit.? I have 2 grand daughters of age 5 years and 1 year. I have taken SSA for my first grand daughter, should I also take SSA for my 2nd Grand daughter of go for PPF. I have a Kanya Samridhi account for my daughter. Can my mother (the girl’s grand mother) deposit money to that account if she wants to. Or will she have to deposit the money into my account first and then i will have to transfer that to the Kanya Samridhi account. I HAVE A QUESTION REGARDING SUKHANYA SAMRIDI SCHEME. CAN I CLAIM DEPOSIT MADE UNDER THE SCHEME DEDUCTION U/S 80 C IN MY HUF FILE. I don’t think so..but I am not very sure too on this. Hi, I am Roshan, If i am choosing SSA & after some year i will die than what is the procedure to continue the SSA. Dear Roshan..The legal guardian or mother can continue the contributions. Sir, is it possible that i invest 1.5L each in PPF and SSY. Yes in 80C i will show only PPF. Dear Anil..you may do so. Hi I have a question…. If I invest in both ppf n SSA, will it b still tax free for both accounts..? Dear Gouri..Yes you can claim up to Rs 1.5Lakh u/s 80c. Dear Sindhu..My opinion is every Parent(s) should have term insurance plan and then they should think about other investments. SSA is better than a traditional life insurance policy. Kindly read my review on SSA. Term insurance vs endowment insurance – Why you should avoid traditional plans? Calculate future value of your investments. If any other person of girl child like Grandparents or Grand grand parents or HUF of parent invests in Sukanya Samruddhi account, will they get Income Tax benefit u/s 80 C…..? or It should be paid only by Mother or Father to get the income tax deduction benefit u/s 80C. Kindly clarify the same and revert. If the grandparents are legal guardian, the account can be opened.Accordingly tax benefits may also be applicable. My son is 1 year old..i have a LIC health insurance for him.I am currently a Govt employee. Want to make an investment on his 1st birthday.Please suggest me what should i go for PPF/SSA or Some child plans.want money for his fulture studies. Do you have sufficient life insurance coverage? Do you have health insurance cover? I already opened ssa for my daughter(5.5 year)).Can I open ppf also for my daughter.please reply with attached document. Dear Subrata..Yes you can open PPF, no restrictions as such. My daughters are born in US. We currently live in India. Please let me know if they are eligible for PPF and or SSA. The Govt’s gazette is not clear on this point, suggest you to kindly visit the nearest post office or bank (SBI) and find out. Request you to share the update here. In SSA scheme nothing mentioned if, the principal investor (normally father, in this case) dies during the continuation of the scheme, what will be the fate of the scheme? How and when will the legal hairs will get back the accumulated money? To the best of my understanding there is nothing which states that if PPF already exists in name of minor child, a SSY cannot be opened in her name. Please clarify if my understanding is right. I am asking because of confusing statements made at banks. Thanks in advance. Even I agree with you. Once can operate both the accounts. I have 3 month old daughter . which is better ppf or ssa account for my daughter? My vote would be for PPF. Kindly read my article : Calculate how much to save for your Kid’s education goal. 1)Kya ssa ko ek post office se dusare post office me transfer kar. Sakare kya? 2)agar kisi karan. Daughter ko kuch ho gaya to jama rashi ka kya? Reply me please! You can transfer..You can close the SSA account and withdraw the accumulated fund. Dear Reddy, Thanks for your contribution, Kindly let me know NSC 10 Yrs is better or SSA is better. SSA – because of tax benefits (it falls under E-E-E category). Can i open BOTH PPF and SSA/SSy for my Daughter ???? Yes you can have both PPF & SSA. Hello. I was told today that i can not open PPF Account for my Daughter as i have opened SSY for her. Is this true ? . I m doubtful. My grand daughter is of 4 years of age I want to open a SSY account in her name.If I deposit 1.5 lac in SSY for 14 years how much amount will be after 21 year of age of girl. Kindly download the calculator that is available @ – SSA Download calculator. You can contribute as many times as you would like to.. The interest amount is calculated based on the previous month’s ending balance. Kindly read my article – SSA Features & Review. If you are looking at savings point of vies, consider SSA. Ignore LIC policy. Do you have a term insurance plan? Read my articles on – LIC 830 Plan & LIC 830 Plan returns. My wife is housemaker and if she opens SSA on her name for our daughter, would I be exempted from my annual tax deductions, as I am the source of income and she isn’t earning? Is it treated same as I am paying her insurance premiums and getting tax exemption? Please advise. I believe this is not allowed. Only she can claim the tax benefits. Is In this a/c compound intrest. Please reply me. Yes, SSA works on annual compounding method. Sir i have an account in rd in post office nd another one in ssa with same amount for both i.e. 1000 ,,on which one i get more return amount in the end ?? What is the tenure of your RD? Depends on the rate of interest. Considering tax benefits that are applicable to SSA, you may get better returns on SSA. I want to open a SSA, But please clarify that what will be the result if the Guardian unable to deposit(Due any reason) money after successfully continuing for some years.Please describe very clearly with all details. You can keep the account in active mode by contributing just Rs 1000/- per year. Sirji, I have two daughters one is 4 years and second is 3 months old . Which is the best plans them for there education&married . Please give information . Suggest you to read my artilce – “Calculate how much you need to save for your kids’ future“. Do you have sufficient life insurance cover? I am bit confused on the every year concept. Yesterday i enrolled the scheme on yearly mode. my next pay shall be on Apr 2016.The interest calculated this one year only. this amount considered for 2014-15 and i need to deposit amount for Apr 2015- Mar 2016. then how the interest get calculated?. Because in post office they communicated the pay shall based on.financial year. But your earlier communication states date of account opening.kindly clarify me. The current contributions is for FY 2014-2015. You can deposit Rs 1.5 Lakh for FY 2015-2016 too. Interest is calculated on previous month end balance basis. The operation of account is based on the account opening date (like closure, no of contributions etc). For interest payments postoffice / bank will follow FY basis. You may receive around Rs 50,000. There was some problem happens with me sir. I also tried to open an Sukanya Samriddhi Account in a bank near in Mumbai. They also told me that the procedure of account opening is not confirmed officially. What can I do now??? Kindly try opening SSA at a post office. If I pay 50000 in the first year of SSA,in the next year if don’t have sufficient money (I want to pay 30000)what can I do!!! In the same way in the first year I paid 50000,can I a pay 75000 in the second year!!! You can deposits different amounts, but the minimum deposit per year is Rs 1000. I have a query regarding this scheme. 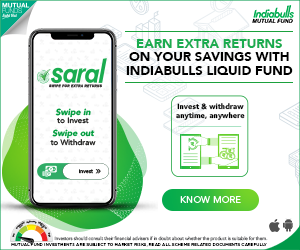 Is it a good idea to convert the normal saving account of my minor daughter to this scheme? – Normal saving account for minor allowed be to deposit a total of 50K whereas this scheme is allowing me to deposit max 1.5L per year. – I am moving to abroad this year and hence wondering about the future deposits. You can not convert a savings account to SSA. Do you mean to say that you want to move your Savings A/c funds to SSA? Yes, the current Rate of Interest is higher than PPF ROI. But, this may not be the case in future. The maximum contribution in SSA per year is Rs 1.5 Lakh. You may issue cheques and send them to your Bank, Kindly check with your banker if this is allowed. I shall look for your reply in my quote to one of your replies above. Now, my direct question is that, as the rate is floating, are there chances that the interest rate of SSA goes below that of PPF in the long run. I am concerned because, the risk of investment is 6 years longer than PPF. Further, in PPF we are allowed to withdraw or take loan as you explained earlier and we can re-invest the money in more profitable (may be high risk) ventures. I believe in order to attract more investors, govt fixed the interest rate on SSA (for fiscal 2014-15) @ 9.1%. There is every chance this may not be the case in the coming years. It may match the PPF interest rate. I agree with your points on SSA Vs PPF. So, given a choice, I prefer PPF to SSA. What is your view? As my daughter is nearing 7, I fought hard to go with PPF. Probably, in one of your articles you said, “decide when you want back the money” (if not in a ndtv interview of financial wizard). I want my major share back when she will complete her Senior Secondary at around 18-19 years. I shall still invest my surplus fund at SSA to secure her future. It is too lucrative at 9.1% return. Thanks for your personalized view at the end. Sir, I have PPF account of myself, can I open SSY account in name of two of my daughters and how much I can invest in each of the three accounts per year irrespective of the tax benefit? Also will the returns from all the three will be tax free? also pl tell if I can open PPF account in my name with other PAN no of HUF account? You can operate three accounts. The maximum amount that you can invest in PPF is Rs 1.5 Lakh in a financial year. The maximum amount that you can invest in two SSA accounts put together is Rs 1.5 lakh pa. But you can claim tax deduction of Rs 1.5 Lakh only in a financial year. Thanks for your kind reply. 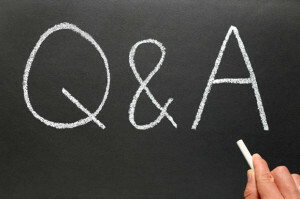 please answer my other two questions also. There are no specific govt schemes for a baby boy. Kindly let me know your Kid’s age.. I believe you can open only two accounts (in the name of twin daughters only). Hello Sir , Thank you for sharing the features of SSY. I already have a pf Account in SBI in my doughter’s name. Cani open a SSY account for her and deposit money in it also? I believe you can open SSA account but will not be eligible to claim tax benefits. I believe you can not open the SSA account, as your child is NRI. I want to open SSA for my princess. if I open this account this month 9th march 2015 with 1,00,000. can I deposit 1,00,000 next month means april 2015. Yes, you may do so. March contribution is considered for financial year 2014-2015 and april deposit will be considered for FY 2015-2016. Hi, this is naveen from Bangalore,my daughter now one year baby if i will plan to deposit 1000 per month, How many years i’ll deposit ? and how much amount i’ll get after this deposite? You will get around Rs6 Lakh in 21 years. You can contribute for 14 years from the date of account opening. Can we pay variable amount on every month i.e, above 1000rs but variable pay allowed? I believe your spouse or any other guardian can make the contributions. Can we open two separate account both myself and my wife on my girl.? Another thing is on 21year when maturity amount will received that amount both deposit and interest value is tax free??? or not, please share. Tax free and benefit details is it same as PPF? No, only one account can be opened on a girl child’s name (But how banks are going to track this.. even i am not sure..waiting for more details). Yes, interest amount and maturity amounts are tax exempted. Yes, tax benefits on SSA & PPF are same. I need your advice in the following scenario, Assume that i’ve started a SSA and have payed 75000 from my account and 75000 from my Wife’s account, then who will get the Tax exemption?? it will be me? or my wife??. Also tell me when me and my wife declare the investment in the beginning of the financial year under 80 C should i declare 150000 or 75000? Ok thanks for your Reply!!!!!!! i want to know whether both the parents are govt servants,,, still they can invest in PPF account? as they already will be having GPF account …if they can contribute for both,,,,whether income tax benefit is allowed for both gpf and PPF? You can open PPF accounts. But the maximum tax deduction that you can claim is limited to Rs 1.5 Lakh only (PPF + GPF). I believe if parents are alive, depositors can be parents only. Yes, similar experiences have been shared by many investors. Kindly check with post office guys. i plan to open SSA account for my daughter (1.5 L/A), and mean time plan to open PPF for my self (1.5 L/A) so is it expected tax under 80 C both ..?? You have to choose either of them. The max tax deduction u/s 80c is Rs 1.5 Lakh only. Kindly share more details regarding how it is calculated? How did they arrive at Rs 1 Lakh loss? Hi, My self Ashwin Prajapati. having 4 months baby. I want to open SSA. is it applicable for her. Yes, you can open the account. Hi Shreekanth, one of the most important factor that you missed in your article is that a PPF account cannot be opened for a minor, it can only be opened for a minor if the guardian’s do not have a PPF account. In my case and a with a lot of parents since the parents will have a PPF Account so this appears to be a good option, like a lot of others we wait for the Budget to see the tax implications of the interest. I believe that one (parent/guardian) can open a PPF a/c in the name of minor child. But the maximum allowed tax deduction is Rs 1.5 Lakh. A parent can operate two accounts (self and minor’s PPF account). Correct me if i am wrong?? Well, you rightly said. One can open PPF accounts in the name of minor(s) as well with the Cap under 80C. The benefit in those cases probably will be interest rate and tax on interest. I would like to know, what does authorized Bank Branches mean? Does it relate to Branches dealing with Govt. Transactions or something that sort, or all the listed Banks Branches will have the facility. Because, when I enquired my local bank Branch, they told me that the product is yet to be introduced to their system and they are not directed by their management yet. Further, they don’t have the account opening form with them as we could download it from your post. I recently published an article, “ SSA & Authorized list of Banks“, suggest you to kindly go through it. Cheers! Thanks for your reply. I had been through the post before dropping my comment. What I understand is that, every bank branch of the list is authorized to open the account. I shall get back to my banker with this view. Lemme see what they says. What about the loan options on both the PPF and sukanya samridhi ????? I believe no loan facility is available under SSA scheme. You can take loan on PPF a/c. A subscriber can avail loan in the 3rd year of opening the PPF account and amount up to 25% of the balance at the end of second year preceding the year in which the loan is applied for. your article is very useful ,thanks. i will go with ppf accouts which i all ready have. I gone though all comment and link for this Sukanya Samriddhi scheme, a small doubt is that in the calculation chart why the interest rate is different for yearly contributor. Can you please explain as I have to open account but have to decide monthly or yearly. What is interest rate for one time yearly contribution? Interest rate is same for yearly or monthly contributions ie 9.1%. The interest amounts are different. In yearly contribution (as calculated in SSA review article), you make 1 yearly payment at the beginning of the year and it earns interest for the whole year. Where as in monthly contributions, the interest is calculated on the previous month total balance. Do share your experience about account opening here. It will be useful for all of us. PPF accounts have already been opened in the name of both my daughters aged both below 10 years. Now, may I open SSA also in their names.? If you are already making contributions in PPF a/cs, suggest you not to open SSA accounts. PPF is still the best option for savings. I am a house wife and planning to open ssa or ppf account on my daughter name,who is 3 yrs old now. My husband works overseas,and he is the source of income,who is sending money for ssa or ppf.. So after maturity of the account what form i have to submit for tax savings? As i am not earning money. The interest calculation on SSA deposits is same as in PPF a/c. The account matures on 21 years from a/c opening date or when child gets married, whichever is earlier. She has to close the account after her marriage and is eligible to get the accumulated maturity amount that is accrued till that time. I have visit nearest post office and inform to postman my permanent address belong to Kolkatta he suugest me to open the your SSA account at Kolkatta it s not possible to open SS account in Mumbai same as inform to the inquire person i have all the orginal documents. I am an NRI and my two daughters are residing with her mother in India. Can the mother open the account for both daughters. I believe if your spouse ( if not a NRI) can open Sukanya account. The depositor should be your spouse. I am Ramarao can it possible to open SSA account in Mumbai post where as my permanent residential address is Raghunath shaw badi, P\O: Suckchar Girja, P\S : Khardah, 24 Parganas, Kolkatta – 700115. Yes you can open the account. Kindly contact nearest bank/post office branch. Suppose if I put Rs. 1000 per month in PPF and Rs. 1000 in SSA, what will be the returns? Yes, the tenure of PPF a/c is 15 years and can be extended any number of times for a block of 5 years each time. SSA – Deposits can be contributed for 14 years and after that the accumulated money grows at applicable interest rates till 21 years. The maturity amounts are totally dependent on future rate of interests. As of now, SSA’s ROI is higher than that of PPF a/c. But, this may or may not be in future. Hi, My self Chandra mouli. having 2 months baby. Can i Deposit Monthly like PPF or Financial year. and also pay online payment possible? And also can i deposit variable payment per month/year. For Ex. March 1000/-, April 3000/-, May 1000/-. The SSA scheme is applicable to girl child below age 10years. so u can open an account. Further there is no such monthly installments only thing u need to deposit minimum Rs. 1000 every year to keep account operative. the maximum limit is Rs. 150000 per year. Thank you vijay for sharing your inputs. One more point is , I think as of now no online payment (deposit) facility is available. They (banks/Post offices) may enable online mode in future. Can a child of 6 years open her own PPF account ? Yes, Parents/guardian can open PPF a/c on minor kid’s name. Either father or mother can open PPF account on behalf of his / her minor child, but both cannot open the account for same child. The accumulated interest is tax exempted. But remember,the investments made on minor’s name are clubbed with a parent’s and Rs 1.5 lakh invest limit needs to be split with father or mother acting as guardian. As for minor’s PPF account,no additional tax exemption limit is available. Yes, Parents/guardian can open PPF a/c on minor kid’s name. Either father or mother can open PPF account on behalf of his / her minor child, but both cannot open the account for same child. The accumulated interest is tax exempted. The combined tax exemption limit (under section 80c) would be Rs 1.5 Lakh only. No additional limit is available. This blog was quite informative. My child is 4 yrs old. I already have PPF account in my name. Can I open PPF account in the name of my child? Will the interest in that account be exempted from tax? i from surat. Here no instruction in any bank or post office about this a/c. This is a new scheme and it may take sometime to implement the scheme across the nation. You can find an official circular in my article(Sukanya Savings a/c review)which is addressed to all post offices. For simplicity sake and easy to understand purpose, i had given examples with same deposit amounts in my other article. But, the Depositor can vary the monthly installments. You are welcome. Keep visiting! In this article you can find information about the interest and maturity amount calculations. You may also find my article “Calculate how much you need to save for your kid’s education goal?” useful. I am Sneha, having 4 month princess, I am planning to ssa amount Rs. 5000/- per month, my question is, can I pay 1000 ‘ s whenever I have money, is it necessary to pay in some date or so, means multiple deposits in a month. Yes, you can deposit n number of times in multiples of one hundred rupees. Minimum yearly contribution should be atleast Rs 1000 (to keep the SSA a/c active). The total maximum contribution can be Rs 1.5 Lakh per Financial Year. I believe that you can go ahead and open SSA account on your kid’s name. Kindly note that the combined income tax exemption limit (PPF+SSA) would still be Rs1.5 Lakh under Section 80c of Income Tax Act.